750 litre X-Tank, for one or two operators, various filtration options. 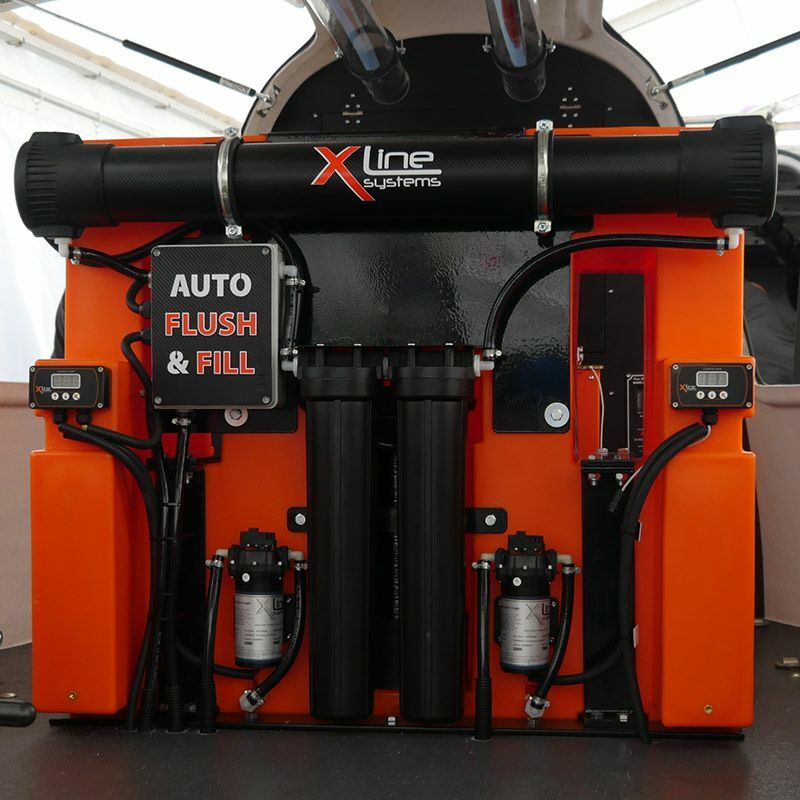 Our 750ltr X-Tank system is an ideal size for people who run a 2 man setup, 750ltr's of pure water should keep 2 operators working a full day. The Majority of all 750ltr systems we install are setup with dual pumps, controllers & hose reels. For this 750ltr X-Tank you would need a vehicle with a payload of at least 1,100kg. Our professional installation service takes around 5-6 hours to complete on these cold water systems, whereas we require a full 2 days for a hot water install.